Are the feminists eating their own? It certainly seems that way. Despite all of Hillary Clinton’s “the butler did it” excuses for her loss to Trump, this famous feminist calls her out. She explains the real reason Hillary lost. 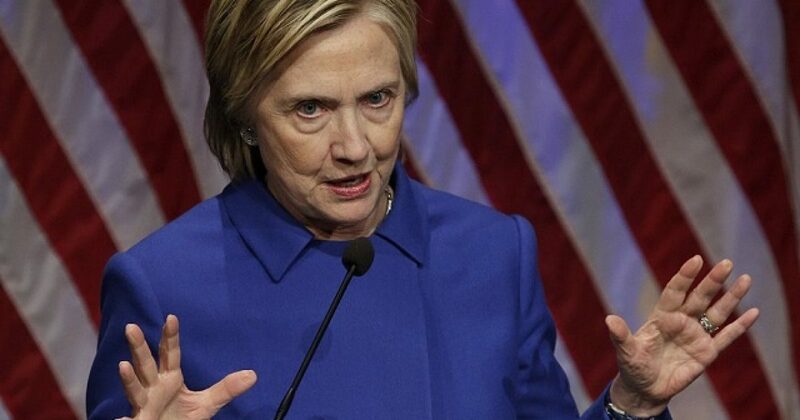 The explanation is simple: Hillary is the reason that Hillary lost the 2016 election. Almost everyone except Hillary seems to know this. Including, Hillary’s fellow feminists. In a scathing condemnation of the twice-failed presidential candidate, Camille Paglia destroyed Hillary on two fronts: competence and feminism. Talk about emptying both barrels of the shotgun on the front porch, Joe Biden! First, it must be noted that Paglia is a self-described “lifelong Democrat” and card-carrying feminist. She has also taught at the University of the Arts in Philadelphia, PA since 1984. Second, despite being a Democrat and a feminist, Paglia has been a long-time critic of Mrs. Clinton. Let the bloodletting begin. In a recent interview with Free Beacon, Paglia revealed just how little she esteems Crooked Hillary. Calling Clinton out as someone who regularly “exploits feminism,” Paglia noted that misogyny did not play any part in Clinton’s loss to then candidate Donald Trump. However, when asked if this was really the case, Paglia declared the opposite was true. But Paglia was just getting started. After all, exploitation of feminism was the only weapon in Hillary’s arsenal. As Paglia noted, it wasn’t know-how that garnered Hillary high-powered roles in politics, but know-who. Hillary experienced success only because she was “attached to her husband’s coattails,” to quote the professor. What a damning commentary to Hillary’s claim that she champions women’s rights. It seems true feminists don’t like the frauds. Paglia’s frontal assaults on Clinton shifted back and forth between competence and faux-feminism. Thus, Paglia dined heartily on the carcass of Crooked Hillary. And I enjoyed reading all about this epic feast.